A painting, celebrating my dog, Lisa – my best friend, my companion, my protector. 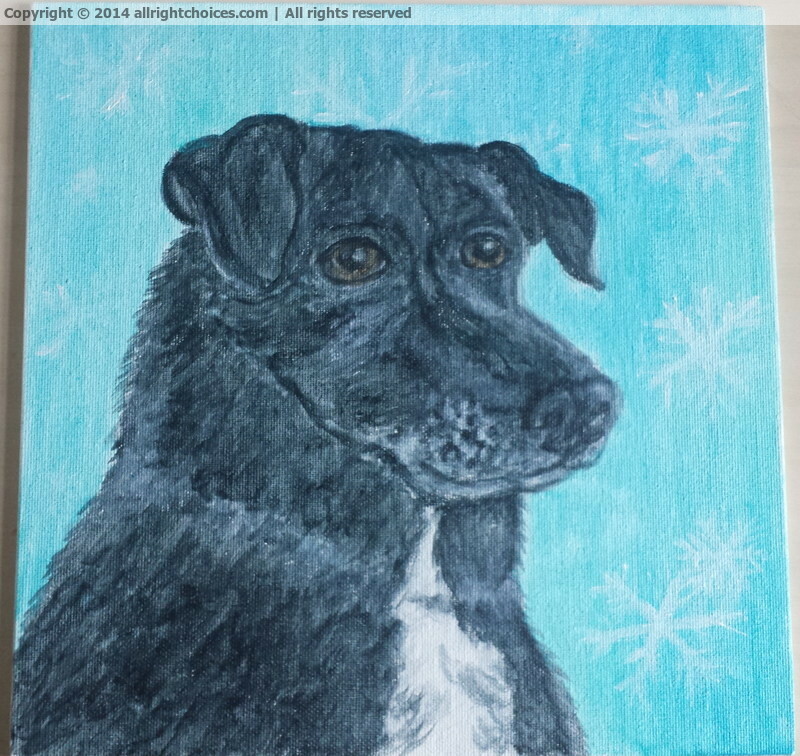 This entry was posted in Paintings and tagged acrylic, best friend, black dog, canvas, celebrating, companion, definitely never owned a dog, dog, Lisa, painting, protector, puppy, quote, sweet, Whoever said that diamonds are a girl's best friend by Lucy. Bookmark the permalink. Hehe, well, I guess the ‘Let’s play’ technique can also get you out of bed and in a good mood. 🙂 Lisa is not that playful anymore, as she’s getting older, but is constantly scanning us to find out how we feel, and is very caring when one of us is sick. Did you do the drawing? Very lovely. Such a sweet pup. Yes, Sue. 🙂 Thank you very much for your kind words. I’m happy you like it! Great picture. I see a wonderful friend, trusted listener. Love dogs.